Chinese Herbal Medicine is one half of what makes Chinese medicine truly shine. We refer to it as the Yin to the Yang, the yang being acupuncture. These two major components of Chinese medicine complement and balance each other wonderfully upholding two different sides of the spectrum, respectfully Yin and Yang. In relation to each other, Chinese herbal medicine is more Yin. It nourishes the body, it replenishes body fluids, it builds blood, it harmonizes organs, it’s very much of an inside job. I think of Chinese herbs as the slower, deeper shifting in the body. Acupuncture on the other hand is the rocket ship and very Yang. Acupuncture moves Qi and energy and moves it quickly, it opens meridians, clears blockages, wakes up the organs and clears pain. I think of Acupuncture as Chinese herbal medicine’s flashier counterpart giving quick and magical results on the spot. Shortly after acupuncture was created—maybe 700-800BC, herbal medicine started to become of interest and an old scholar named ShenNong was one of the leaders in this. In ancient texts it is said “ShenNong tastes a hundred herbs in a single day and meets seventy toxins”. I’ve read that while the herbal pharmacopeia was being created, researchers like ShenNong tasted each herb during their meditation and tried to decipher what channels or meridians the herb entered, what properties it had and what were the proper indications for treatment. After years upon years of research, this tireless research created the ancient texts of our pharmacopeia and almost all of these herbs are still used today. Most of our patients make an appointment for acupuncture, but it is during the Chinese medicine consultation (that takes place before your treatment) that we decide if herbs are appropriate as well. About 75% of our patients are doing a combination of both acupuncture and herbal medicine, that being said it’s certainly not mandatory, but in most cases, recommended. During your first treatment and consult, herbs are chosen based on your diagnosis. Our pharmacy is 95% granules, which means we only create custom herbal prescriptions that are tailor made for the individual. Even though some patients might prefer capsules or pills, the granules give us the freedom to build our formula exactly the way we would like. And believe me, before granules the only other option was the raw herbal product, which meant boiling teas every day, sometimes for hours at length! So, patients are thankful they don’t have to do that any more and we are as well because patient compliance is much higher. We want you to get better quickly! A formula can consist of as little as 4 or upwards of15 herbs, but you’ll never receive just one. Why? Because herbs work together as a team, where one herb might be the main “King” herb others are in concert acting as associates, guides and other helpful supporters. This is the beauty of working with a licensed herbalist. 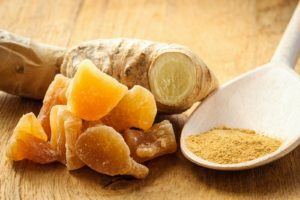 For example, let’s say you found out that you have high Liver enzymes and have researched that Turmeric or Curcumin can help work with bringing those lab values down. It’s very true, it can, but the difference of buying only Tumeric or taking a formula like Long Dan XieGan Tang with Yu Jin (the Chinese equivalent to Tumeric) and some SuanZaoRen is incomparable. In one approach you are supporting the process of bringing the Liver enzymes down, with the other approach you are doing that and helping the Liver harmonize, bringing the Yang down, nourishing the Yin, decreasing blood pressure, helping relax the mind and de-stressing the body. The second approach is a lot more all encompassing and working with not just the symptom or ‘branch’ of the problem it is also addressing the ‘root’ cause of the problem. Also remember, each herb has several indications– For example, an herb mentioned above SuanZaoRen is wonderful for relaxing the mind or shen, but it’s also used for sweating, especially night sweating, palpitations and insomnia. If I don’t include other herbs to help my SuanZaoRen to know where to go or what to do, it’s a crap shoot. Firstly, there are many different herbs to choose from. The traditional MateriaMedica lists approximately 750 Chinese herbs. These herbs have been used for thousands of years. 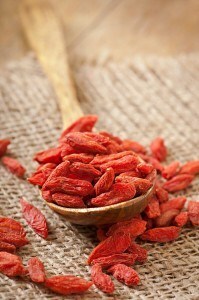 Recently, in the American market, there have been positive and sometimes negative press on Chinese Herbs. If there is a concern at all of a specific herb, there is no need to use that one, there are so many herbs available that another can be found that can create a similar effect. Another positive aspect in Chinese Herbalism, is that it is very difficult to build up immunity to them, where in Western Medicine increasing your dosage of a medication is commonplace, it is not common in Chinese Medicine. As you change, your formula changes, by modifying (taking an herb out or adding another) your formula’s compound changes, so your body doesn’t continuously recognize the same substance and start building immunity to it. And although Traditional Western medication works very quickly it can usually only mask a symptom, Chinese Herbal Medicine treats the source of the problem and most times can cure it. Chinese Herbs do not have to be administered for years or for life. Just long enough for the body to make the shift that is necessary to alleviate symptoms, after that you may move on to a different formula or take nothing at all for awhile. In my personal pharmacy at home, I keep many of my favorite herbs on hand for all different reasons. If I’m feeling a little bit more stress, I’ll take Jia Wei Xiao Yao San that week. If I’m feeling really tense and having a little headache, I’ll take Migratrol or if my back is bothering me a bit, I’ll add some Du HuoJiSheng Tang. And sometimes I’ll take nothing at all but my vitamins. As you change your formulas change. Lastly, please keep in mind, each formula is tailored made for each individual, so sharing of your Chinese Herbal formula is not recommended. And remember, self-medicating with Chinese Herbs can cause undesirable effects, always work with a trained herbalist.Seriously, always. If this ignited some questions, we’d love to hear from you!